Okay, so we’re food obsessed. Ask anyone who has traveled with us and they’ll report we’ve dragged them to farmers’ market after farmers’ market with us ohhing and ahhing over the mushrooms, the tomatoes, the melons, the grapes. And that’s before we get to the fish, dried salamis and bread. And after we come back from any trip, the cuisine of the last place we visited creeps into our meals. 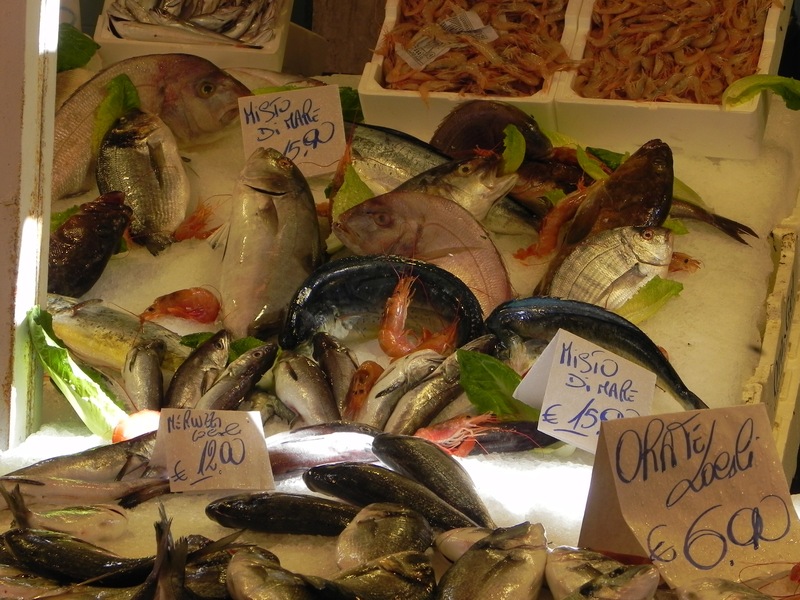 This trip we were wowed by a couple things about Sicilian food. 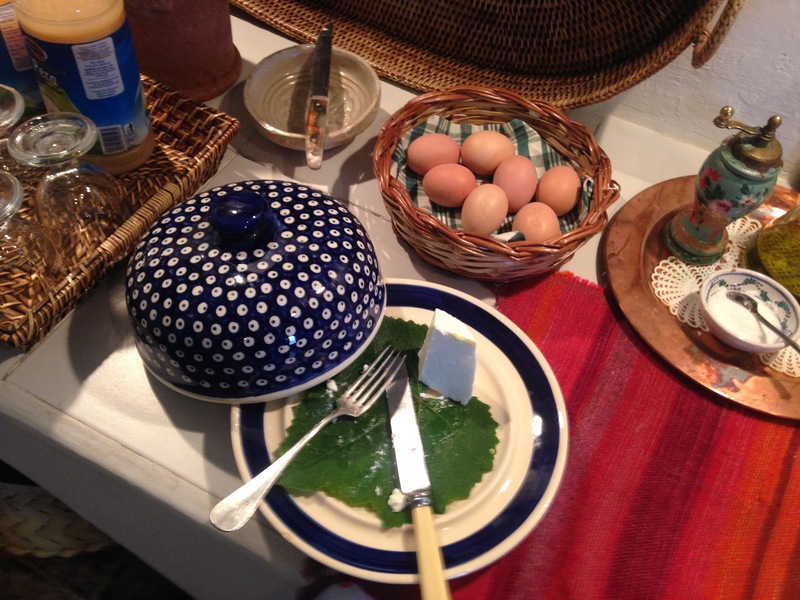 In the agriturismo where we stayed outside of Enna we were served a lovely breakfast. 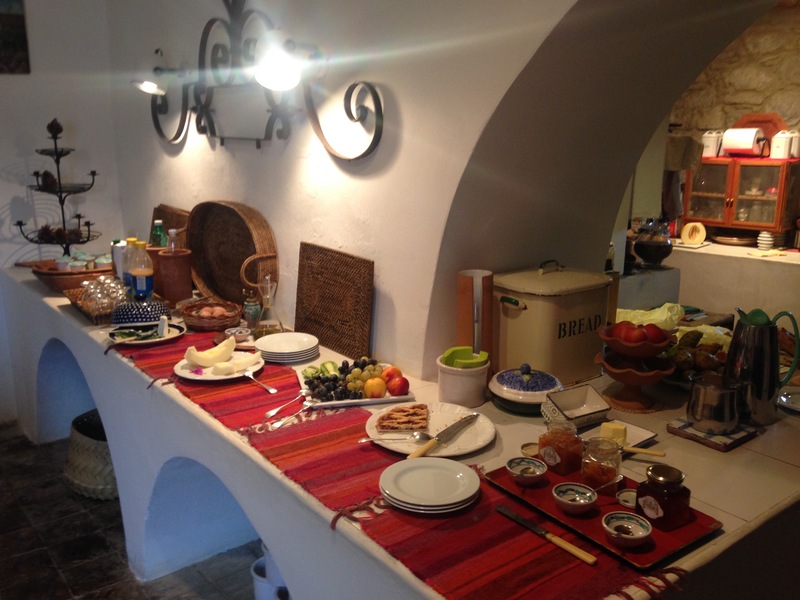 Coffee, juice, fresh breads with homemade marmalades and fresh fruit, including prickly pears. 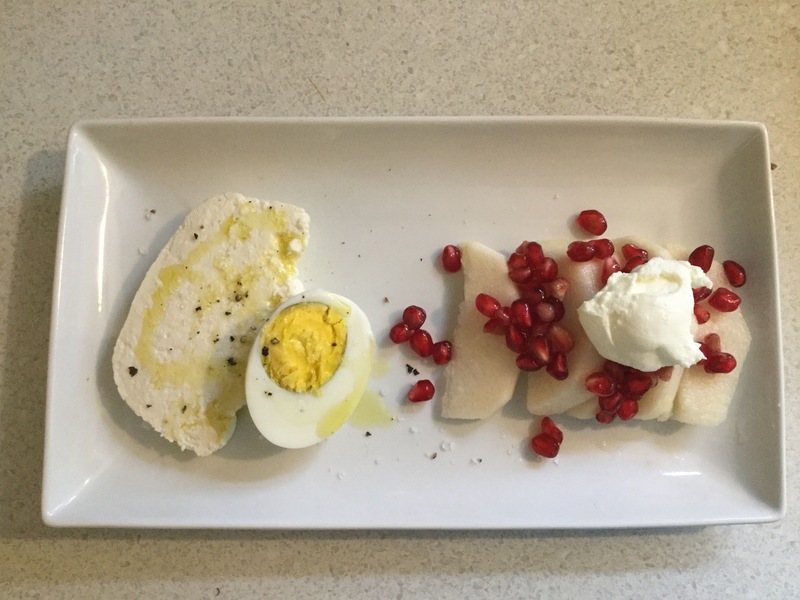 But the stand-out dish was a local creamy ricotta cheese our host served with a halved hard cooked egg and drizzled with her homegrown olive oil. Her invention and outstanding! So good in fact that as soon as got home we began to try to replicate the dish. First a trip to our favorite Italian deli and grocery store for a top notch olive oil. Then purchase some cage-free eggs. And the final step was making our own ricotta, which turned out to be easy to do. After checking out a number of recipes, we settled upon a simple one — gallon of whole milk (several sites said to avoid organic or ultra-pasteurized milk), lemon juice (alternative to vinegar which sounded unappealing) and salt. Heat the milk to 185-200 degrees, add the lemon juice and let the curds form. Separate them from the whey and drain. (Whey can replace water in my bread recipes.) And you have ricotta cheese. So we were ready. Damn good. Next time, a bit more salt in the process and a little less pressing or draining of the curd. The cheese was better the second day and great on toast with a bit of lemon peel, honey and olive oil. Lesson learned? Top notch olive oil is essential when it’s the main flavoring. And a little goes a long way! Sicily offered lots of pasta options. Pasta with sardines is the regional specialty which didn’t quite grab us. Pasta with mussels was good. 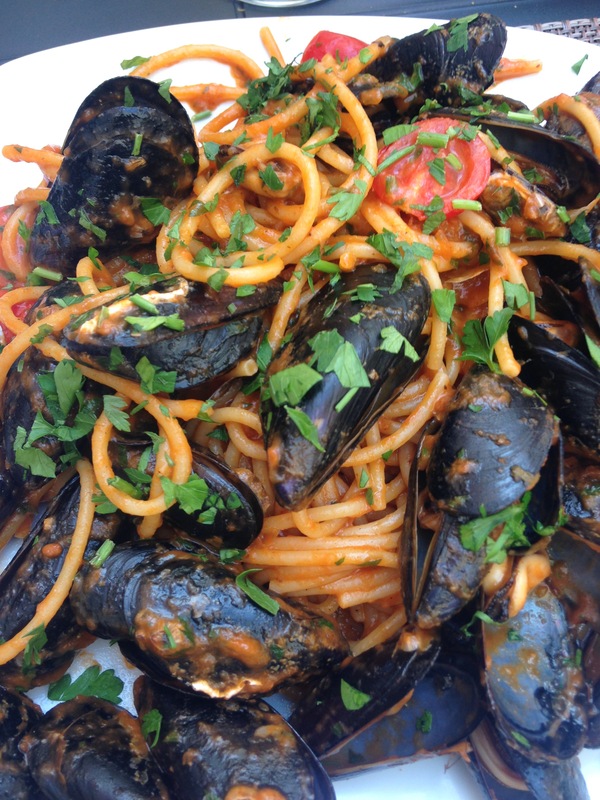 But the pasta that stood out from all the seafood-based versions was pasta Trapanese. It’s a pesto of sorts tossed with the local pasta, bussiate–a long corkscrews pasta that is rather thin and a bit rough. The best version of the sauce was a mix of finely ground almonds and hazelnuts and roughly chopped cherry tomatoes, seasoned with basil, garlic and Parmesan cheese. Sometimes, however, the sauce was very smooth, sometimes was made of just almonds, and sometimes had just a bit of a kick from peppers. My attempts to replicate the sauce have been well-received, although I have been unable to find the bussiate pasta itself, except online. When we put together a Sicilian meal for our friends we’re going to search out a red wine from Etna. The region around the famous volcano produced some very good wine that we drank with meals in Taormina and Cefalu. Probably the very best wine was made from the Nero d’Avola grape, which also happened to be the name of our favorite restaurant in Taormina. The wines in other parts of Sicily were drinkable, but not ones we will seek out at home. 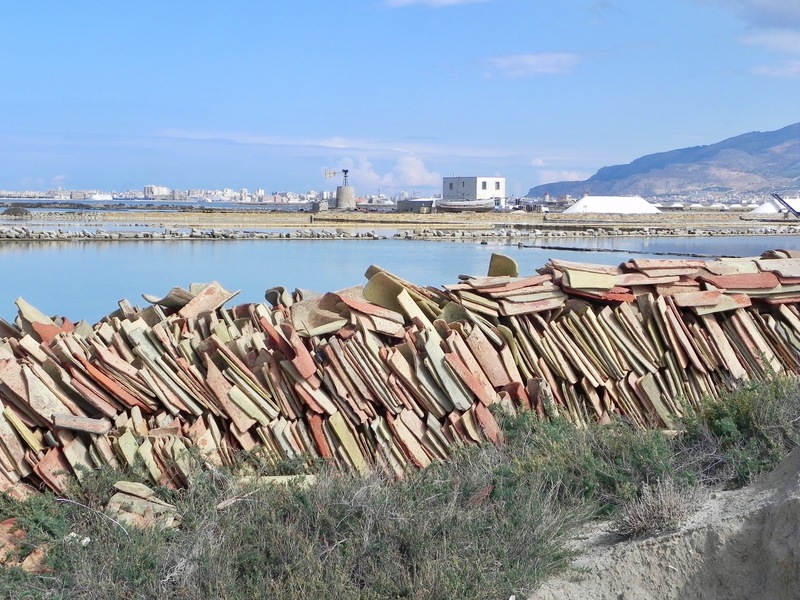 We did try Marsala wine in Marsala–a sweet, port like wine–which, though not on the top of our list of favorites, was nonetheless excellent (and Marsala was a charming town). The last change to our at-home dining will be the addition of high quality, sea salt collected in the traditional way. 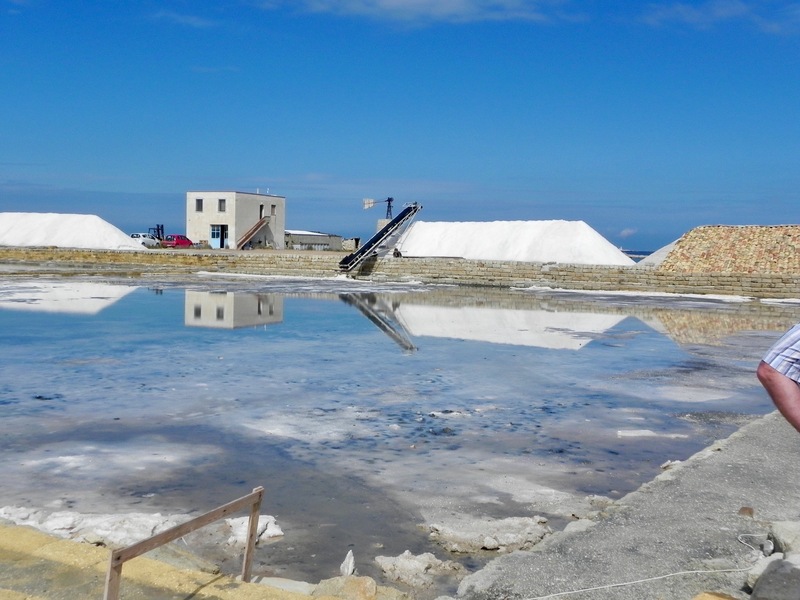 We toured the salt flats outside of Trapani where the process for producing salt has hardly changed for hundreds of years. A succession of evaporation ponds are flooded and allowed to evaporate in high summer increasing the salinity in each succesive pond until the salt crystals are formed. 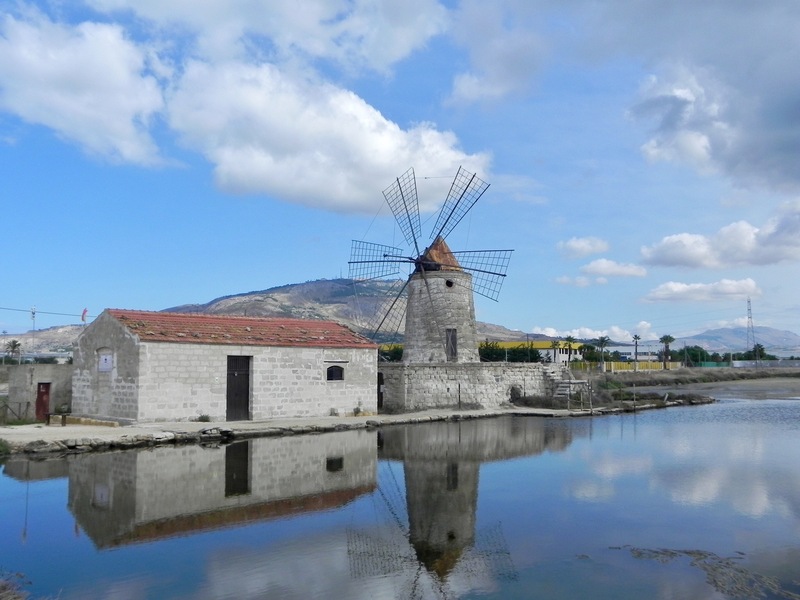 Originally windmills were used to pump the sea water from pond to pond and the salt was harvested by men raking and shoveling the salt into baskets they carried to dry land (hellish work in the baking hot Sicilian summer) where it was covered by terra-cotta tiles to fully dry. Today the windmills have been replaced by electricity and the baskets have been replaced by conveyer belts, but the rest of the process remains the same, and produces a far different product from the finely ground salt of the large mechanized processes. We like the slightly more complex flavor and the crunch of the bigger grains when added to the end of cooking at when sprinkled over our plate at dinner. The windmills may no longer work, but they do provide a great photo op for the many visitors to the salt flats.